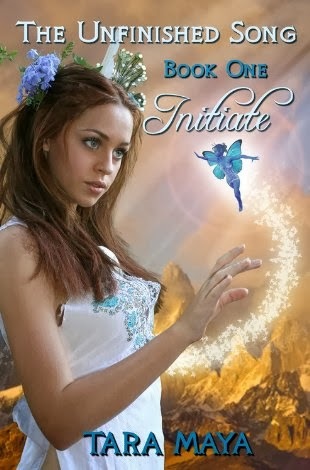 Today I am happy to feature The Unfinished Song (Book 1) Initiate, by Tara Maya. I asked Tara to explain the inspiration behind her warrior dancers: The warrior dancers are inspired by several shamanistic practices around the world-- primarily on Hopi and Zuni Kachina dancers, who are usually warriors as well, but also on African secret societies. The members of these secret societies are dancers, sorcerers/shamans and also warriors. I lived in West Africa for about a year, and met several real shamans who belonged to such societies, and was once invited to watch a secret society. I wanted the civilization in Faearth to be closer to this shamanistic understanding of how power works than the usual "high magic" of medieval times, with spell books and formal orders. What interesting background for your story, Tara. There are so many interesting customs in other countries. It's great that you're using one to give readers a glimpse of that life. Lovely cover too. Congratulations and best wishes to you.